Fortnite's V-Bucks are only good for two things: buying (allegedly stolen) emotes and if you're real sinister, scamming people on Twitter. Or so that's what we thought. A new report via the Independent claims that the game's currency is also being used as a money laundering tool on some weird parts of the Internet. Because, of course it is. This is 2019. Apparently, stolen credit cards are being used to purchase V-Bucks, and then these V-Bucks are shifted to players at a discount rate, which essentially "cleans" the money in the process. And this makes sense -- the game hasn't just attracted millions upon millions of players, but is a massive hit among teens and children, who are more likely to be scammed or taken advantage of by cybercriminals. So, where is this going down? Well, on the Dark Web, of course. For those that don't know: the Dark Web is a hidden section of the Internet only available via special software. And it's here where you can find a hotbed of illegal activity and often some very nefarious stuff. I'd advise from checking it out. Anyway, it's here where V-Bucks are being sold in bulk. But it isn't limited to the Dark Web, this is just where the large amounts of money are flowing. You can also find the activity on a variety of social media platforms, but in smaller scale. The discovery was made via the help of Sixgill agents, who pretended to be potential customers in order to uncover operations, which can be found around the world, from Russia to China to the United States. “Criminals are executing carding fraud and getting money in and out of the Fortnite system with relative impunity,” said Benjamin Preminger, a senior intelligence analyst at Sixgill to the Independent. 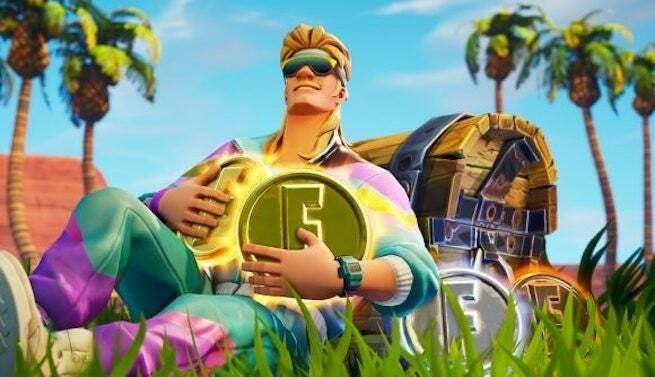 According to various reports and security agencies, Epic Games isn't doing enough to combat on the criminal activity around its game, and as a result, it's morphing into quite the business, with roughly 50,000 online scams a month, according to ZeroFox. Epic Games has not provided any comment on the report from the Independent.